I have been fascinated with personality tests and the like for as long as I can remember. I love getting super nerdy and introspective and learning things about myself, but I especially love being able to see things I’ve learned reflected in the people around me. I’m not saying it’s accurate whatsoever, but I oftentimes find myself diagnosing people’s love languages or enneagrams based on their interactions with myself and others (in my head, of course – I don’t just announce love languages to strangers). I got the Five Love Languages book about a year ago and I’ve loved taking my time reading through it to really understand each language and how I see them manifested in my own life. The book is more geared towards marital relationships (and obviously I’m not married), but it’s so easily applicable to any relationship you encounter in your life. If you haven’t yet heard of the 5 Love Languages, they are 1) words of affirmation, 2) quality time, 3) gifts, 4) acts of service, and 5) physical touch. I’d say that everyone probably likes aspects of all five languages, but most people will overall gravitate towards one specific language, which shows how they best receive love! If you want to quickly figure your language out, you can take the quiz that Dr. Chapman has created here! I’m a words of affirmation girl through and through. Getting reprimanded by a teacher in elementary school was actually the end of the world to a sensitive little thing like me, and being ignored could probably be described as my own personal hell. (But I’m not dramatic though, right?) I just love verbal affirmation from the people around me. I want to be told I’m doing a good job, I want to be told I’m loved, I want to be told I’m a good friend or that I look cute today or that I made someone proud. Sounds needy, but this is how I receive love best, which means it’s also how I generally give it, as well. I will send lovey, cheesy, sweet texts and long handwritten notes to my friends and family all day long telling them how much they mean to me. You may hate cheesy cards, but if I love you, you’ll probably get one from me anyways. 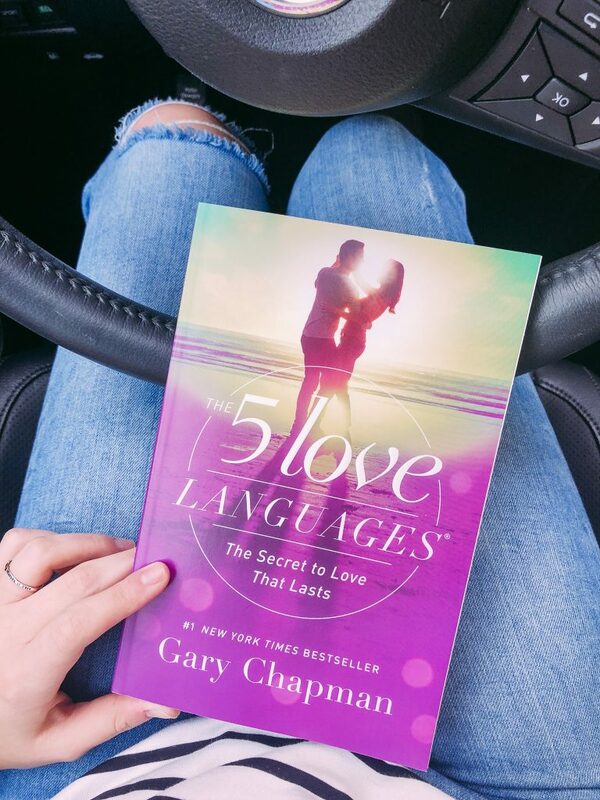 Dr. Chapman uses real-life examples from his career to paint the picture of all five love languages and how couples can learn to speak the same language within their relationships. I think the most interesting part of the book that I hadn’t considered was the fact that there are actually dialects within a love language. Your love language could be acts of service and your spouse is constantly mowing the yard and working in the garden and changing the oil on your car – all acts of service – when all you want them to be doing is helping you with the dishes and cleaning up around the house. Just because you speak the same love language as someone doesn’t necessarily mean that you’re completely on the same wavelength 24/7. Overall, my love for love languages has only grown, and you can now find me systematically forcing everyone in my life to take the quiz so I can figure out their language, too. If you’ve studied this topic or if you’ve read any of Dr. Chapman’s books on love languages, let me know what yours is below and what you think of it all!